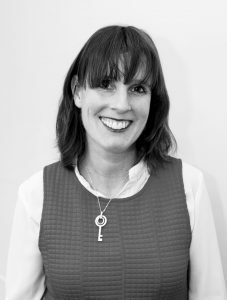 As Communities Manager for BITC Hilary possesses more than 10 years’ experience working closely with both the public and private sector sectors, helping them to make a positive impact in Northern Ireland communities through their corporate social responsibility. Her role requires her to manage a passionate and experienced team, focused on helping companies to design, deliver and measure the impact of innovative volunteering initiatives both at team and individual level. A key part of Hilary’s role is working with the community, voluntary and social enterprise sector in Northern Ireland to help maximise impact through corporate volunteering programmes. Hilary is passionate about digital inclusion and is a key contributor to this agenda in Northern Ireland. Hilary developed a series of corporate volunteering programmes which are targeted at supporting people in Northern Ireland who are not digitally connected – in particular older people and those with a disability. Hilary holds a First Class BSc Honours Degree in Management Practice.